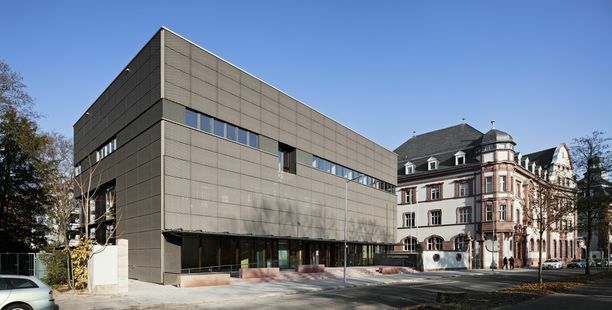 The traditional department of the General State Archives in Karlsruhe is responsible for the safekeeping of old official records for the district of Karlsruhe and other regional authorities based in the city. This department holds great historic importance as the home of written records from past margraves, archives of the bishops of Speyer and Constance, parts of bishops’ archives from Strasbourg and Basel, archives from knightly orders and, most importantly, archives of the former monasteries of Salem, Reichenau, St. Blasien, St. Peter, Schwarzach and Frauenalb. There are over 130,000 documents from these sources alone. Following a long negotiation process, canton archives of the imperial knights and parts of the old imperial archives, as well as parts of the Palatinate archives and adjacent Austrian records made their way to the facility. Of particular significance are the records of the high administration of the grand duchy of Baden from the 19th and 20th centuries. This includes the files form the Baden state parliament and its ministries, the records of the grand ducal court, but also of the Prussian units of the army corps of Baden as well as the records of the middle and lower administrations of the northern Baden region, all of which are considered priceless artefacts for regional and local historical archiving. The family archives of the grand duchy are stored directly on the premises, while the relics of other significant public figures are stored separately. Numerous maps, cards, pamphlets, pictures and photographs are concealed in the depths of this rich historical collection.